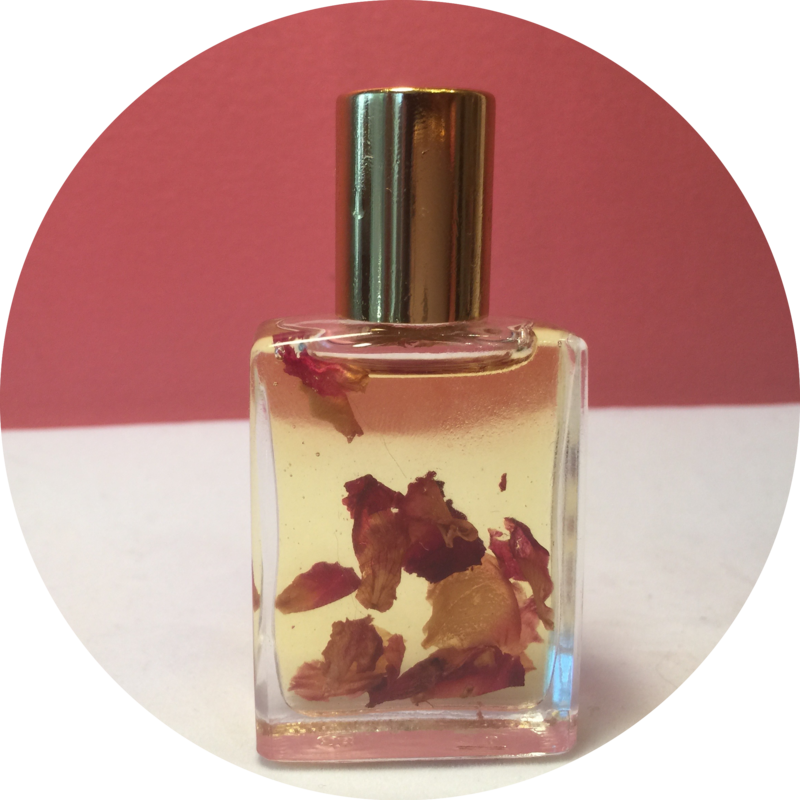 The Tranquillité parfum oil is infused with organic rose petals and arrives in a clear glass bottle with a dropper for easy transport to your apothecary bottle and is great for on the go. Your new parfum arrives in two black velvet pouches sprinkled with organic rose petals. 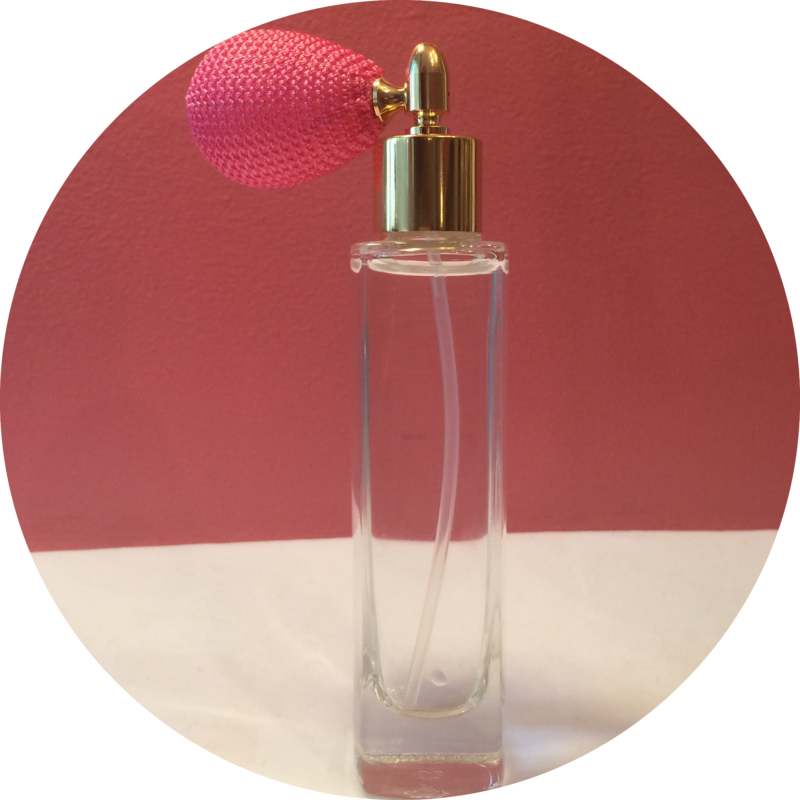 This clear apothecary style bottle has an elegant round stopper and looks great on your vanity. Also includes a sealable dropper bottle for refilling or travel. 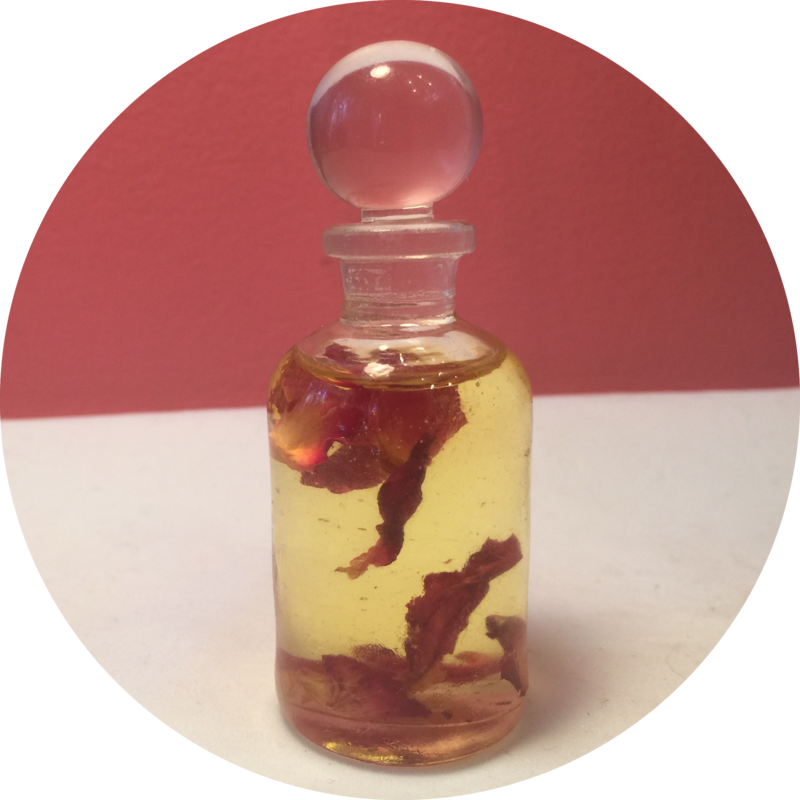 This clear apothecary style bottle has an elegant round stopper and looks great on your vanity. Also includes a sealable dropper bottle for refilling or travel.